Lindfield Cricket Club has scooped its most talented overseas player to date with the signing of Rajasthan Royals batsman Manan Vohra for the 2019 season. Best known for his time in the Indian Premier League, the 25 year old has spent most of his career with Kings XI Punjab, before being selected by Rajasthan in yesterday’s IPL auction. 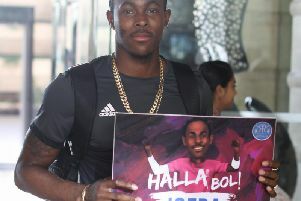 There, he will join a talented squad including Ben Stokes, Jos Butler and Sussex all rounder Jofra Archer. During his time in the world’s biggest T20 competition, Vohra has scored 11 fifties in 49 matches, where he has a strike rate of 127.3, either opening the batting or coming in at number three. In the longer form of the game, for Punjab, he averages 31.5 in India's first class competition, the Ranji Trophy, including a highest score of 224. His overall record includes three centuries and eight fifties in his 28 match career to date. Subject to the visa application being approved, Vohra will join Lindfield in May 2019.